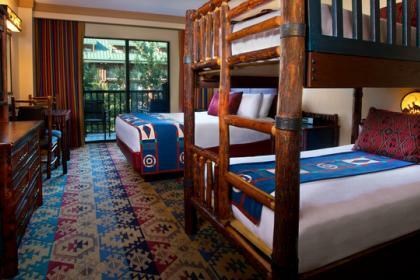 Escape to the rustic charm of this resort that recalls the majesty of the grand NationalPark lodges of the Great American Northwest. 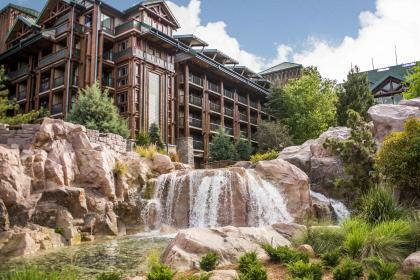 The wilderness has never been more wonderful than at Disney's Wilderness Lodge! 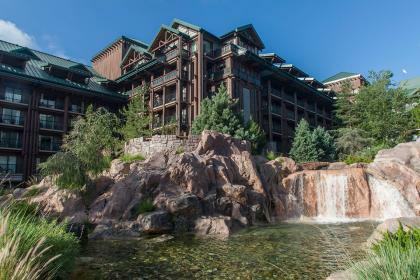 The majesty and grandeur of the great American Northwest echo throughout this relaxing mountain retreat. 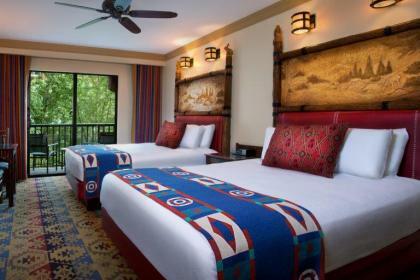 Bubbling springs, authentic Native American carvings, and an inspiring decor with a massive lobby fireplace, reflect the historic National Park lodges of yesteryear. 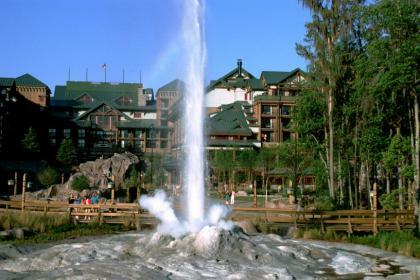 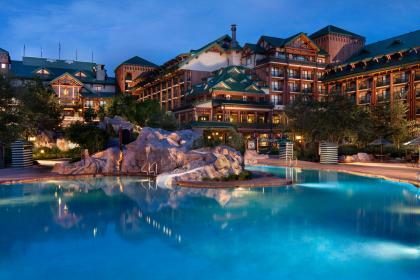 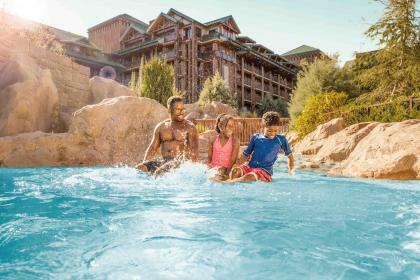 Scenic wonders are everywhere at Disney's Wilderness Lodge, from the specially-themed restaurants to an amazing geyser faithfully shooting water 12 stories high every hour. 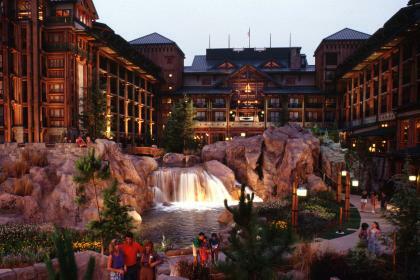 The wilderness was never more wonderful. 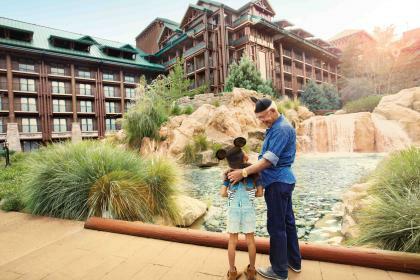 The kids will love the totem pole in the lobby, carved with all their favourite Disney characters, as well as the swimming pool and Cubs Den Club. 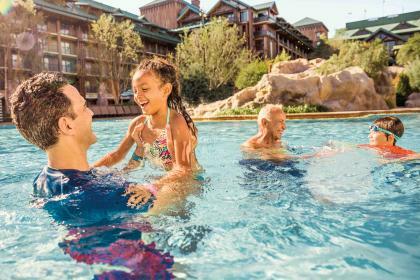 In fact, there's endless fun to be had here for everyone, both day and night! 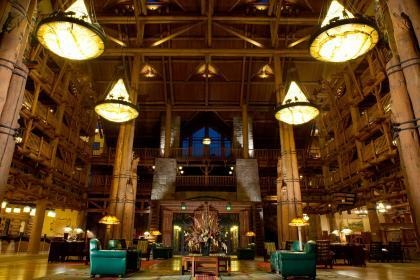 Artist Point - Enjoy Storybook Dining with Snow White and the Seven Dwarfs. 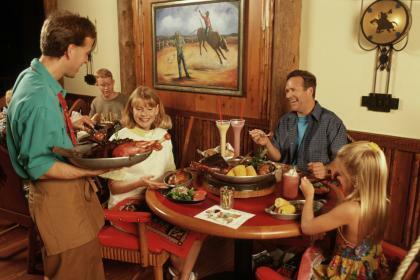 Whispering Canyon Café - Grab the family for a meal of all-you-care-to-eat grub and good-time games. 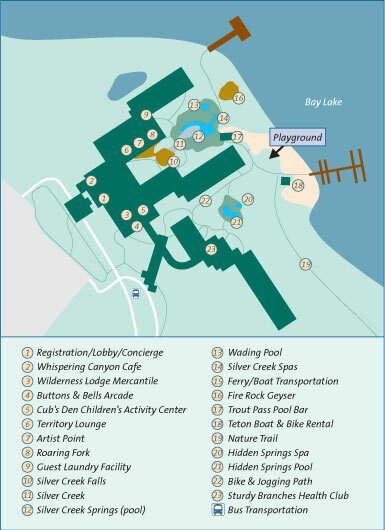 Roaring Forks - Capture the rugged outdoorsy spirit of the Pacific Northwest at this counter-service restaurant that's open for breakfast, lunch and dinner. 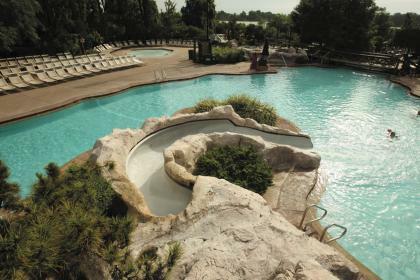 Try the omelettes, soups, salads, sandwiches, pizza and hamburgers. 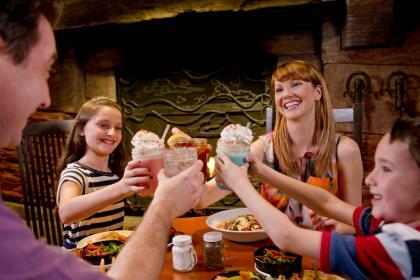 They'll tame your hunger!